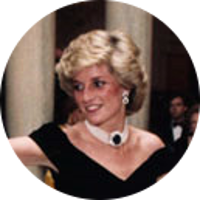 1 Evans, Richard K., The Ancestry of Diana, Princess of Wales , Boston: New England Historic Genealogical Society (2007), 275. 2 Fordyce, William, The History and Antiquities of the County Palatine of Durham: Comprising a Condensed Account of . . ., Vol. 2, London and Edinburgh: A. Fullarton and Co. (1857), 53, Google Books (Digital Library).